It’s summer 1940 and Lydia has run away from her refugee home and the bullies that reside there to return to the security of her mother’s arms. After avoiding strangers and stowing away on a train, she’s made it back to her small, familiar Suffolk village. Something is wrong though, something is very wrong. The streets are deserted, there’s no one behind the counters of the village shops and not a friendly face in sight. Worst of all, after knocking on the door of her house, no one answers. She finds the spare key that’s hidden in the garden, wanders the deserted house and then hides away in the loft. Alone, scared and with no idea what to do. Before long she hears a person moving within the house and she knows by their footsteps that it’s not one of her family. The trespasser tries to get into the loft, she holds her breath but her barricade holds tight. The intruder gives in and seems to leave. Hours later Lydia works up the courage to check the house and she creeps down from the loft, through the house and downstairs to find a stranger in her home. He’s a soldier, obviously wounded and as he pulls a gun on her she thinks her time is up. But as he lowers the weapon his choice is made, they will have to learn to survive together. But who is he and how does he know Lydia’s name? From the first few pages, you’re drawn into Lydia’s world as she walks her villages abandoned streets. This creates an intense tension and you instantly warm to the plucky young girl as she journeys her way home (the ghost village is also explained at the end of the novel). The dynamic between the two housemates ranges from tense and violent to caring and tender. Lydia is the one to mentally broach the situation of a grown man living with an 11-year-old girl that isn’t his daughter and Jason Hewitt handles this minefield of a situation perfectly. Lydia struggles to know how to act around this man, should she be a child and play daughter or try to be a woman and play the wife, which will make him happier and more likely to help her find her mother? There are numerous war novels being published at the moment but this has been my favourite so far. The two characters are just fabulous and the secret behind their connection is intelligent, unusual and utterly captivating. 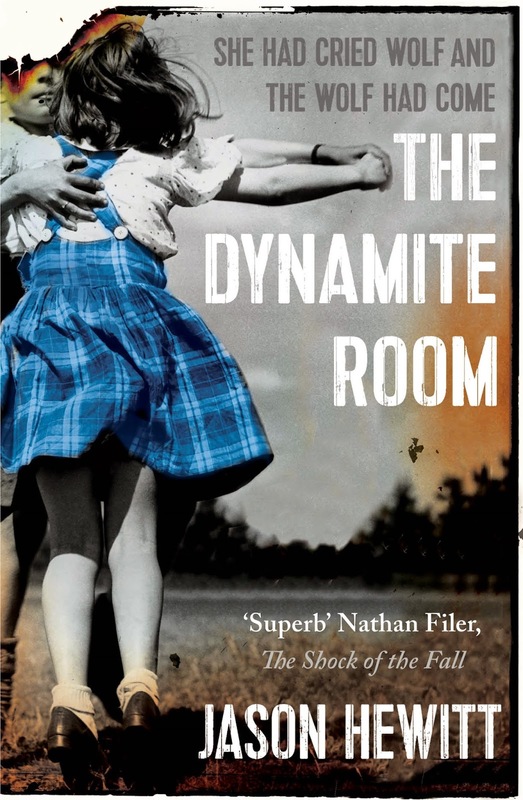 The Dynamite Room is one of those rare gems that leaves you heartbroken by ending but desperate to turn back to the first page and start all over again.